Judy Linville believes the practice of law is about helping clients finding solutions to their legal problems and planning for their future needs. She brings over 20 years of experience in estate planning, tax, elder law, trust and estate administration, guardianship and general business law. She founded a firm that strives to provide exceptional service to its clients by working closely with individuals and their families to create comprehensive and customized estate plans. We also welcome and encourage a team approach in our representations that often involves working with the client’s financial, tax and other professional advisors. 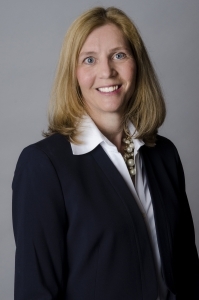 Born and raised in North Carolina, Judy is a 1988 graduate of the UNC Kenan-Flagler undergraduate business school and a 1991 graduate of the UNC School of Law. She has also passed all four parts of the CPA exam. She is licensed to practice law in North Carolina. Judy is a member of the North Carolina Bar Association, Mecklenburg County Bar Association, WealthCounsel, ElderCounsel, and the National Academy of Elder Law Attorneys. She is currently serving on the Legislative Committee for the North Carolina Estate Planning and Fiduciary Section of the North Carolina Bar Association. Judy is married to Robert Linville and has three children. When not working, she enjoys playing golf with her husband, reading, and spending time with family and friends at Smith Mountain Lake. Contact Judy at judy@linvillelaw.com. For more useful links, click here.